Most of my posts so far have been geared to the bride or family who's photos are being taken. I am going to shift gears for a little bit now. This year, in the twelve days leading up to Christmas, I have been posting on my Facebook page (www.facebook.com/garyslens) 12 tips to improve your photography. As Facebook has limited room to post, I'm going to expand on those tips in the blog. Stay tuned for all twelve tips (some by themselves and some combined), and if you want even more, join me for one of my photo courses! "Before taking any photos, get to know your camera. Read the manual (yeah I know, what's a manual, right?) Find out how to change settings and work on mastering them so when it comes time to take the photo, you are not fiddling with the dials trying to remember how to pick the best setting for your image. Better cameras do not make better photos - the photographer does. Get to know your equipment and your photos will improve!" Note: these first couple of tips are technical, and take a little longer to explain, but bear with me... they are necessary to learn if you really want to get to the fun stuff - like learning music before playing the piano, you need to know the basics before you can be a virtuoso. A camera can seem like a complicated device, and manufacturers have both made them more complicated and tried to simplify them at the same time. When all is said and done, though, every camera is basically the same. It is simply a light proof box with an opening to let light in and a light sensitive "recording media" on the other end. Not that long ago that media was film.Today it is a digital sensor. There have, of course, been a lot of improvements on the design, automation, tricks and tweaks, that have made the camera take better, faster, clearer photos, but in the end, every camera fits into that definition. 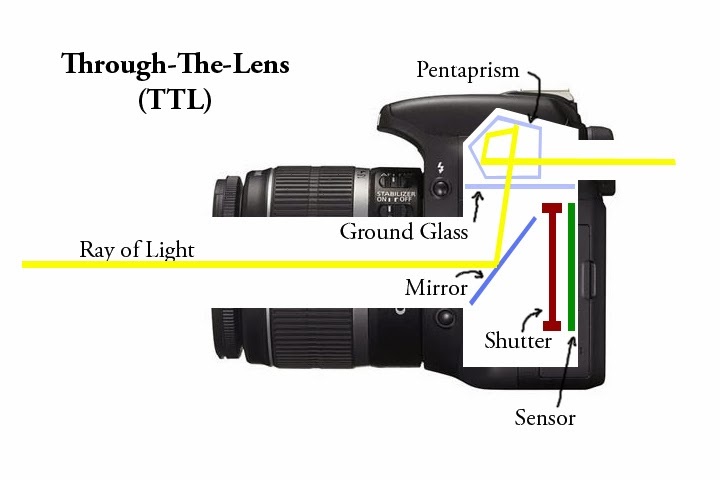 With a TTL (through the lens) Camera, light enters through the lens and the diaphragm (which can be changed to adjust aperture), reflects off a mirror, through a penta-prism and onto a piece of ground glass to reach your eye. When you snap the shutter the mirror flips up, the shutter opens briefly and the image is captured on the media. While that might sound complicated, it is just the mechanism used to compose your image and control the amount of light that reaches the sensitive material - to control the exposure. Exposure in every camera is controlled in one of three ways - how much time the media is exposed for (the shutter speed), how much light is allowed in the camera (the aperture) and how sensitive the media is to light (the ISO). 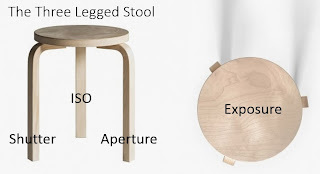 No matter how complicated the camera may seem, or how many different dials and settings the camera may have, they are all about balancing those three legs on the exposure "stool". If you adjust one, you have to adjust the other two to balance the exposure of the image. 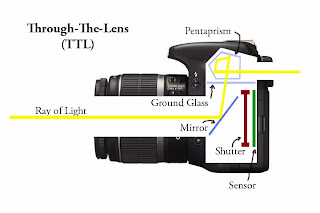 The aperture is the size of the hole through which light can enter the camera. The larger the hole, the lower the "f-stop" number, so an F-1.8 aperture lets in much more light than an F-4 or F11 aperture. The interesting thing about aperture is that it controls the depth-of-field (not to be confused with focal length, which is a function of the zoom of the lens). The depth-of-field is the distance in front of and behind the point at which your camera lens is focused the most clearly. It can be said to be the two distances between which the image is "in-focus". depth-of-field. The focus point point is on the bride and groom. Practically, what this means is that a smaller depth of field will blur objects in the image behind the focal point and in front of it - such as when photographing a portrait of a face with the background blurred - and a larger depth of field will keep as much as possible in focus - such as when you are photographing a mountain landscape and everything from the rocks in the foreground to the mountain behind is in crisp focus. Adjusting the aperture to a larger value (and thereby making the hole smaller), will increase the depth-of-field, but will also decrease the amount of light entering the camera. This must be compensated for by adjusting the Shutter Speed and ISO. The shutter is the mechanism in the camera that opens and closes in some fashion to begin and end allowing the light to enter the camera. The speed is usually expressed as a fraction of a second, so a shutter speed of 60 usually represents 1/60th of a second, and a shutter speed of 125 represents 1/125th of a second. Camera shutters are getting faster and faster, and better cameras can open and close their shutter in 1/8000th or even smaller fractions of a second. the camera gives the impression of motion. Shutter speed will affect motion blur in your image. In some cases this can be a good thing - a slower shutter will let you see the blur in an arm in motion as it throws a ball, or in water as it travels over a waterfall. But in other cases, it is not so desirable - a slower shutter speed can show the motion of your hand while holding the camera, making the image much less crisp and sometimes unusable. On the other end of the spectrum, a fast shutter speed can freeze motion; for instance, the ball leaving the pitcher's hand can appear crisp and frozen in mid air with a fast shutter speed. Keeping the shutter speed at a higher value can help to eliminate the shake from an unsteady hand holding the camera. Adjusting the shutter speed to a higher (faster) value also limits the amount of light that is entering the camera and aperture and ISO must be adjusted to balance the exposure properly. 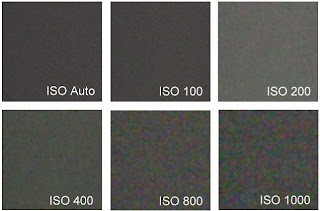 ISO (which simply stands for International Standards Association) is a rating of how sensitive the film or sensor is to light. The higher the ISO number, the more sensitive the material is to light. Double the number is 2 times as sensitive to light, so an ISO of 200 is twice as sensitive to light as ISO 100, and ISO 400 twice as sensitive as 200 and so on. As the recording material becomes more sensitive to light, it also becomes more sensitive to "noise" or graininess, so extending your ISO too high can leave your images looking mottled and "noisy". You may have noticed this when you take a picture in a dark room. 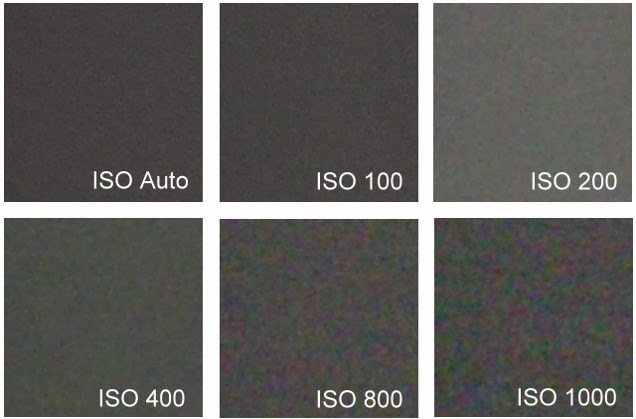 As sensors are improving, the amount of noise in the higher ISO's is being reduced and good cameras (at writing) can get as high as 12,000 ISO without significantly reducing the quality of the image (depending on the use case). Adjusting the ISO higher means that the material is more sensitive to light and the camera can take the image "faster", so the shutter speed needs to be increased, or the aperture needs to be stopped down. Changing the ISO can be very useful, then so that you can achieve the right shutter speed and aperture you are looking for, allowing you to be more creative given different amounts of light. How you combine these three "legs" of the stool is where you can get creative.